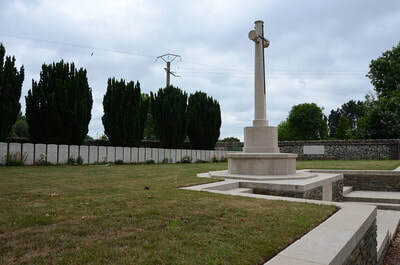 Henin-sur-Cojeul is a village and commune in the Department of the Pas-de-Calais, 8 kilometres south-east of Arras and 2 kilometres east of the main road to Bapaume. 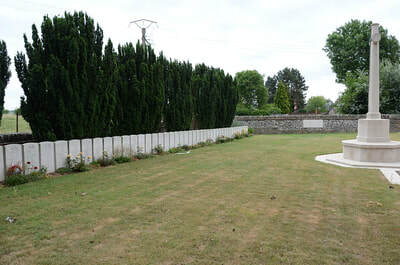 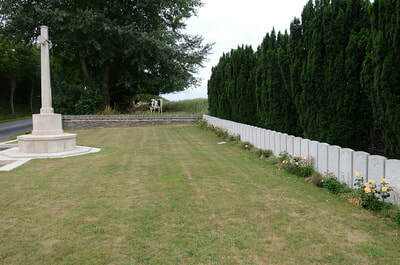 The Cemetery is on the north side of the village and on the east side of the road to Neuville-Vitasse. 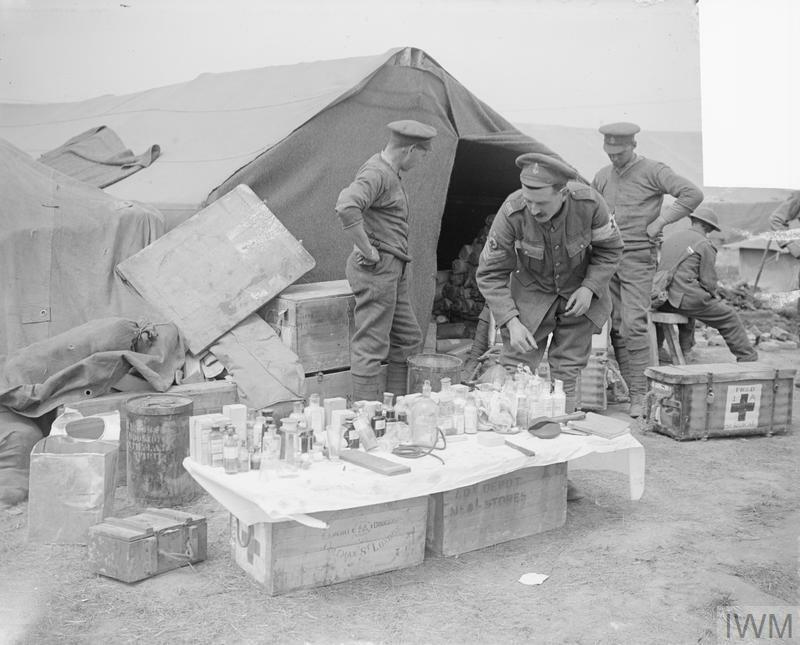 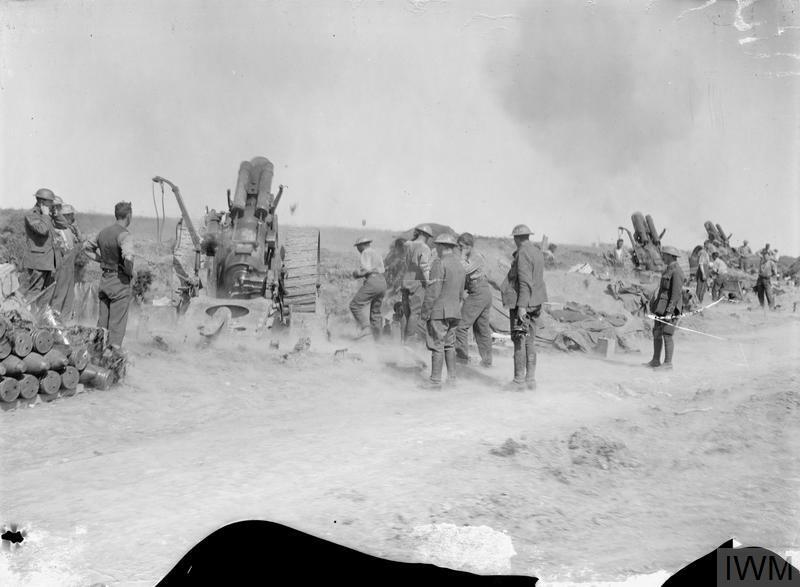 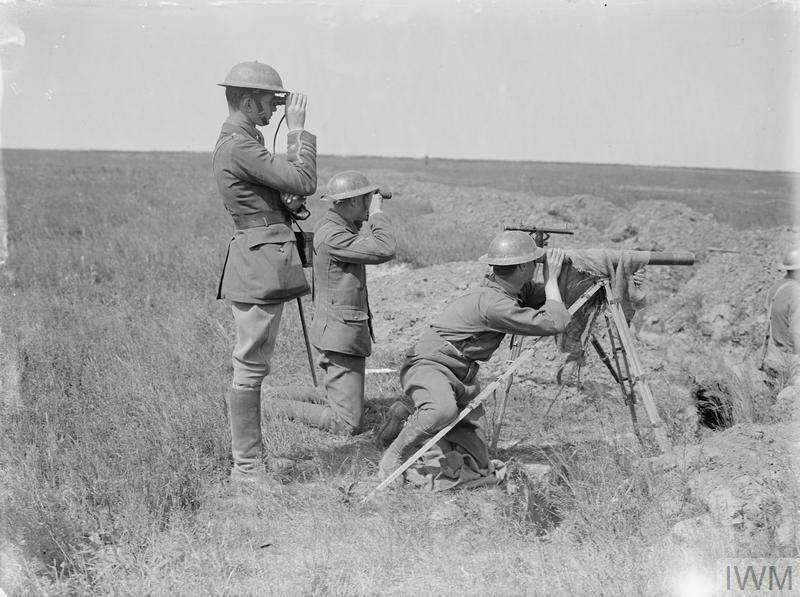 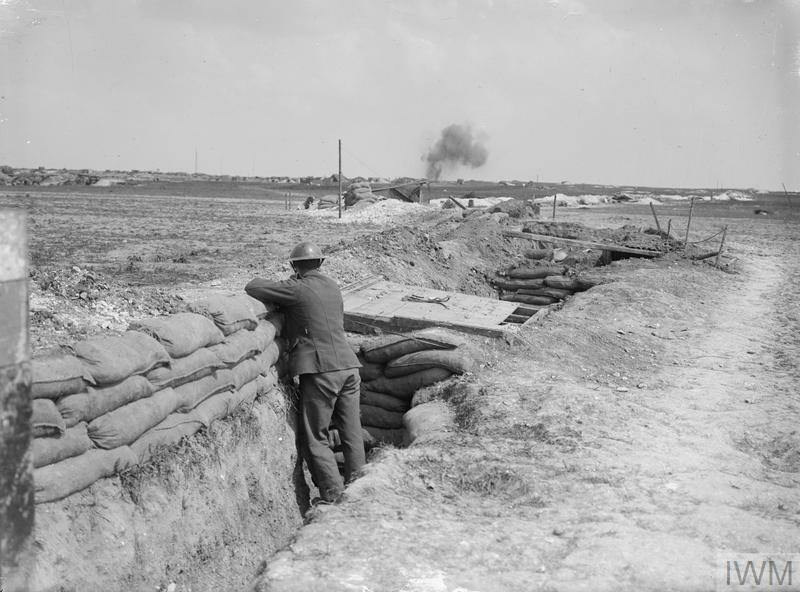 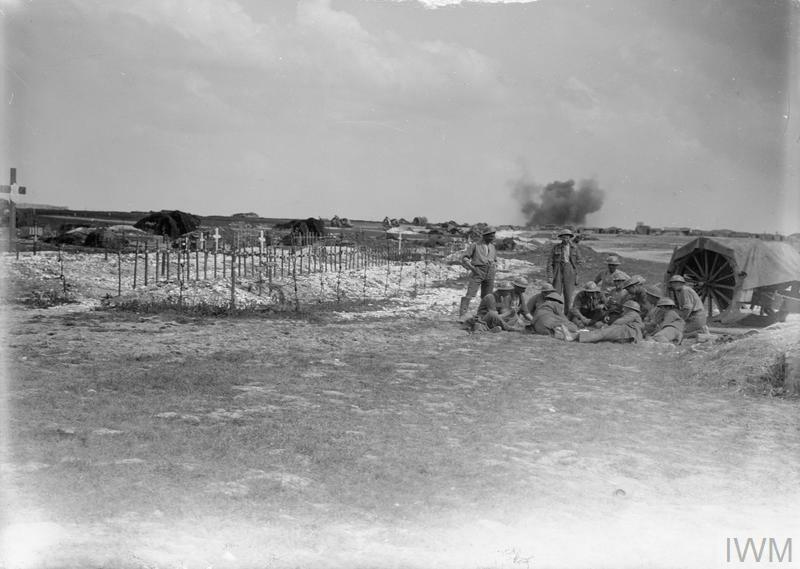 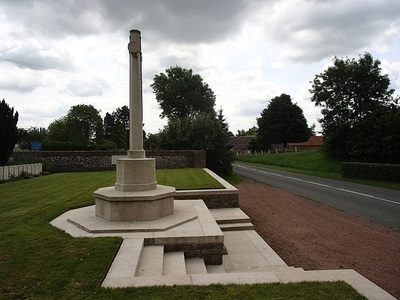 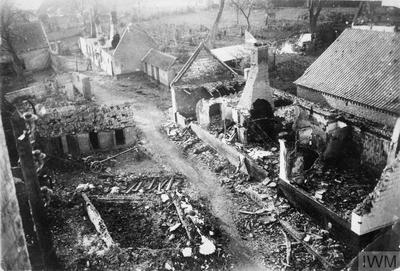 Henin-sur-Cojeul was captured on 2 April 1917, lost in March 1918 after an obstinate resistance by the 40th Division, and retaken on the following 24 August by the 52nd (Lowland) Division. 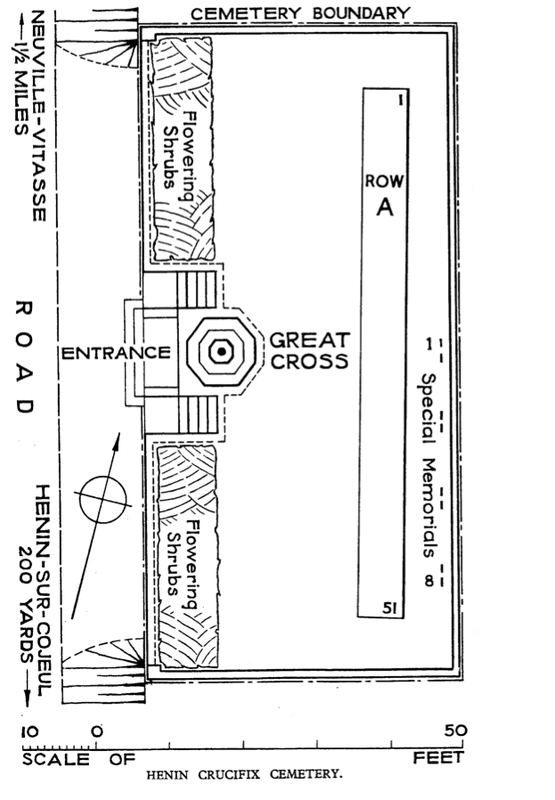 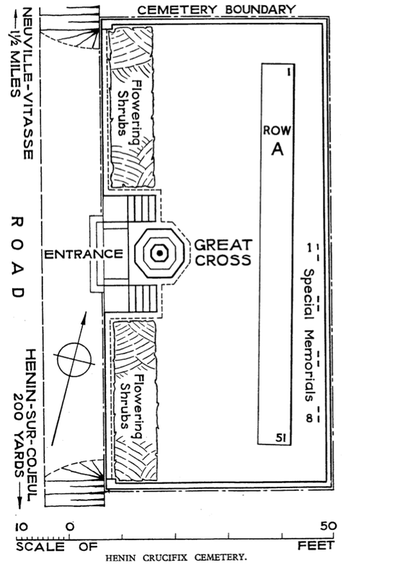 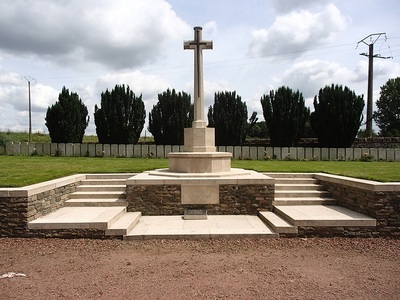 Henin Crucifix Cemetery is named from a calvary standing on the opposite side of the road. It was made by units of the 30th Division after the capture of the village in 1917. 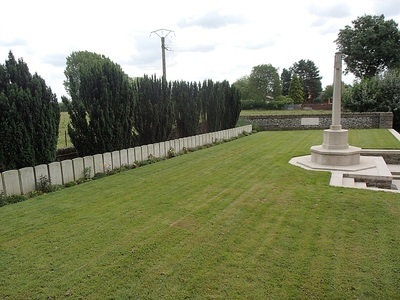 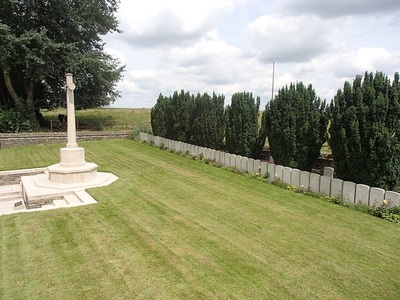 Henin Crucifix Cemetery contains 61 burials and commemorations of the First World War. 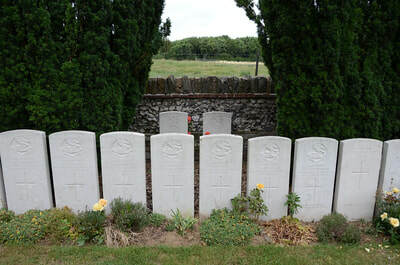 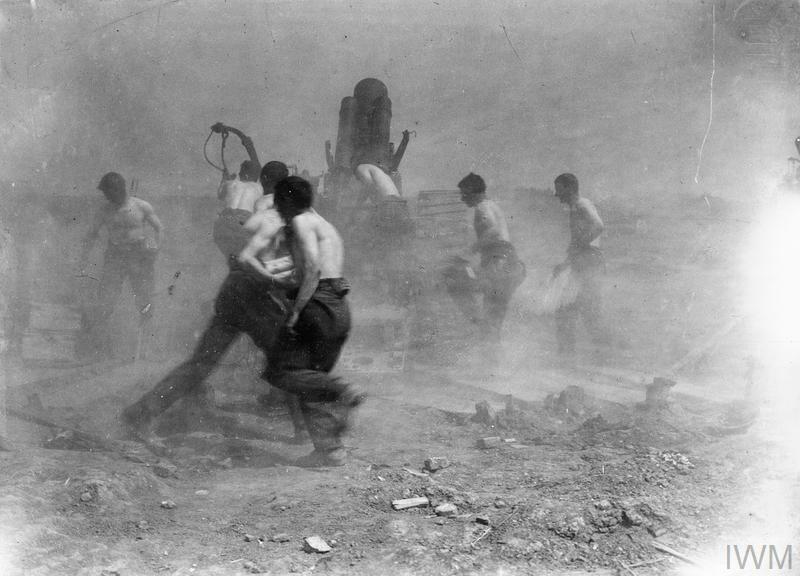 Two of the burials are unidentified and eight graves, destroyed in later fighting, are now represented by special memorials.